As a taxi business owner, you need to do all you can to ensure that you are staying on top of the rest and receiving as much new business as possible. That's why, in this technological era, a strong online presence is yet another excellent way for any taxi company to accomplish more than they ever could have before. 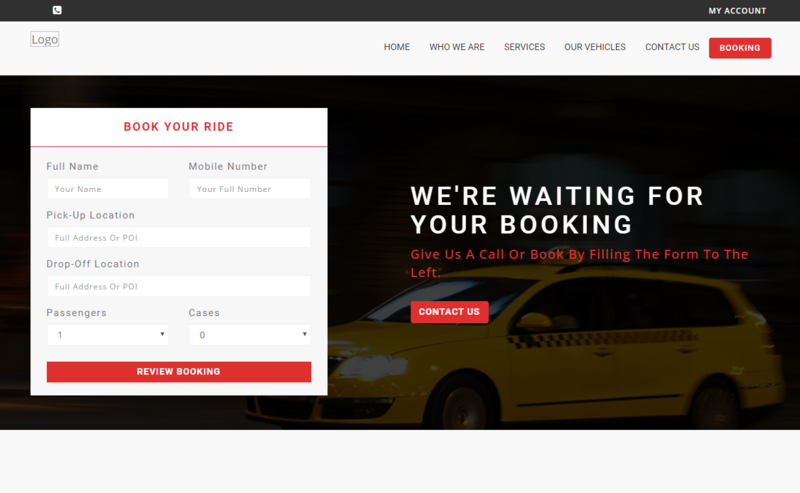 Many companies are still hesitant to embrace the online possibilities, but here are 4 reasons why your taxi business needs a specialized taxi website that uses the Gazoop template. Since customers of all ages are now online, the days of looking in a phonebook for a taxi are rapidly coming to an end. In fact, you can advertise on every billboard and radio station in your area, but without an easy-to-navigate webpage with persuasive text, you simply aren't speaking the public's language. With a webpage, however, you are announcing your presence to everyone who searches online – which, nowadays, is practically everybody! If your taxi business does not have a website, customers are actually more likely to think poorly of your operations in general. Younger audiences especially will see you as being stuck in the Stone Age, so unless you are an Amish horse-and-buggy service, you need a website! Having a good taxi website is what allows customers to book your services ahead of time. This way, the customer can easily arrange for a cab whenever they need – even after hours – and more quickly than by any other means. In addition, you will be freeing up the phone lines and reducing overhead expenditures. If everyone you knew jumped off of a bridge, would you? Perhaps not, but if they were simply getting websites, then you had better follow suit. If you choose to forego a website, other competitors will be happily soaking up the online exposure that you are missing out on. Aside from making it very easy for anyone to book a cab, our taxi websites will inform the public and establish credibility. You will be able to post up-to-date rates, hours of operations, travel radius, and interesting fleet information that will create a positive company image. Are You Ready to Maximize Your Earning Potential With a Great Taxi Website? Many taxi businesses have failed due to the lack of a website – don't let yours be one of them! When you sign up with us, you will be provided a free webpage domain and hosting where you can change the colors and text at absolutely no charge. We offer additional options such as "bring-your-own" domain names and image uploading for a low monthly fee. Once you are ready to explore the benefits of a customized website by the Gazoop team, we are ready to assist. Contact us to learn more about how we can get started on helping your business today!